Many visions of the future lie buried in the past. One such future was outlined by the American librarian Charles Ammi Cutter in his essay “The Buffalo Public Library in 1983”, written a century before in 1883. The [library], when complete, was to consist of two parts, the first a central store, 150 feet square, a compact mass of shelves and passageways, lighted from the ends, but neither from sides nor top; the second an outer rim of rooms 20 feet wide, lighted from the four streets. In front and rear the rim was to contain special libraries, reading-rooms, and work-rooms; on the sides, the art-galleries. The central portion was a gridiron of stacks, running from front to rear, each stack 2 feet wide, and separated from its neighbor by a passage of 3 feet. Horizontally, the stack was divided by floors into 8 stories, each 8 feet high, giving a little over 7 feet of shelf-room, the highest shelf being so low that no book was beyond the reach of the hand. Each reading-room, 16 feet high, corresponded to two stories of the stack, from which it was separated in winter by glass doors. We have now room for over 500,000 volumes in connection with each of the four reading-rooms, or 4,000,000 for the whole building when completed. If his vision for Buffalo Public Library might be considered fairly modest from a technological point of view, when casting his net a little wider to consider a future National Library, one which “can afford any luxury”, things get a little more inventive. But for Buffalo book delivery is a cheaper, simpler, and perhaps less noisy, affair. …for my part I much prefer our pages with their smart uniforms and noiseless steps. They wear slippers, the passages are all covered with a noiseless and dustless covering, they go the length of the hall in a passage-way screened off from the desk-room so that they are seen only when they leave the stack to cross the hall towards any desk. As that is only 20 feet wide, the interruption to study is nothing. Far from a wild utopian dream, today Cutter’s library of the future appears basic: there will be books and there will be clean air and there will be good lighting. 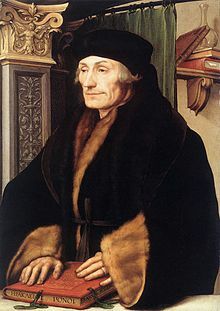 One wonders what Cutter might make of the library today, in which the most basic dream remains perhaps the most radical: for them to remain in our lives, free and open, clean and bright. More at the original, in Public Domain Review: “The Library of the Future: A Vision of 1983 from 1883.” Read Cutter’s essay in its original at the Internet Archive. 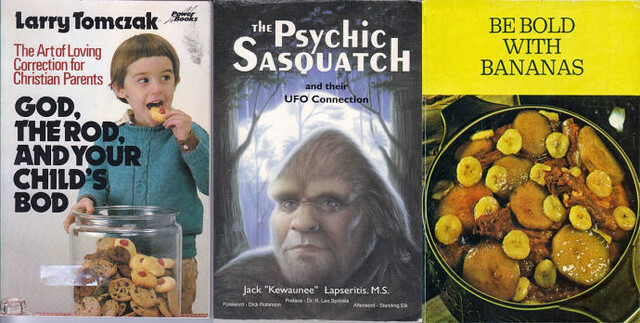 Pair with “Libraries of the future are going to change in some unexpected ways,” in which IFTF Research Director (and Boing Boing co-founder) David Pescovitz describes a very different future from Cutter’s, and from which the image above was sourced. As we browse in bliss, we might recall that it was on this date in 1946 that the most famous early computer– the ENIAC (Electronic Numerical Integrator And Computer)– was dedicated. 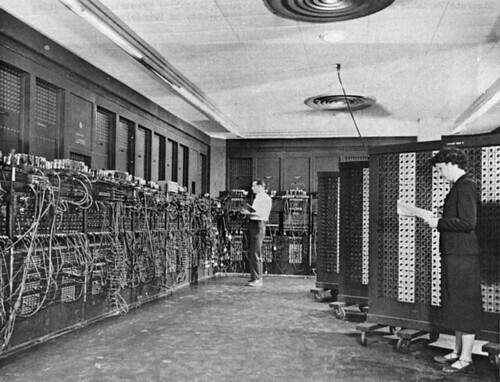 The first general-purpose computer (Turing-complete, digital, and capable of being programmed and re-programmed to solve different problems), ENIAC was begun in 1943, as part of the U.S’s war effort (as a classified military project known as “Project PX”); it was conceived and designed by John Mauchly and Presper Eckert of the University of Pennsylvania, where it was built. The finished machine, composed of 17,468 electronic vacuum tubes, 7,200 crystal diodes, 1,500 relays, 70,000 resistors, 10,000 capacitors and around 5 million hand-soldered joints, weighed more than 27 tons and occupied a 30 x 50 foot room– in its time the largest single electronic apparatus in the world. ENIAC’s basic clock speed was 100,000 cycles per second. Today’s home computers have clock speeds of 1,000,000,000 cycles per second. I grew up in libraries, or at least it feels that way. My family lived in the suburbs of Cleveland, about a mile from the brick-faced Bertram Woods Branch of the Shaker Heights Public Library system. Throughout my childhood, starting when I was very young, my mother drove me there a couple of times a week. We walked in together, but, as soon as we passed through the door, we split up, each heading to our favorite section. The library might have been the first place that I was ever given independence. Even when I was maybe four or five years old, I was allowed to go off on my own. Then, after a while, my mother and I reunited at the checkout counter with our finds. Together, we waited as the librarian pulled out each date card and, with a loud chunk-chunk, stamped a crooked due date on it, below a score of previous crooked due dates that belonged to other people, other times. 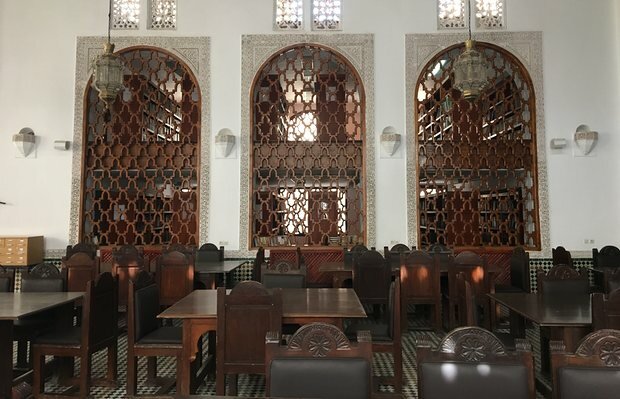 Now, after years of restoration, the library is finally set to reopen – with strict security and a new underground canal system to protect its most prized manuscripts. 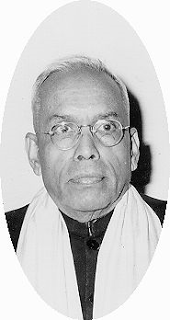 As we browse in bliss, we might spare a thought for S. R. Ranganathan; he died on this date in 1972. 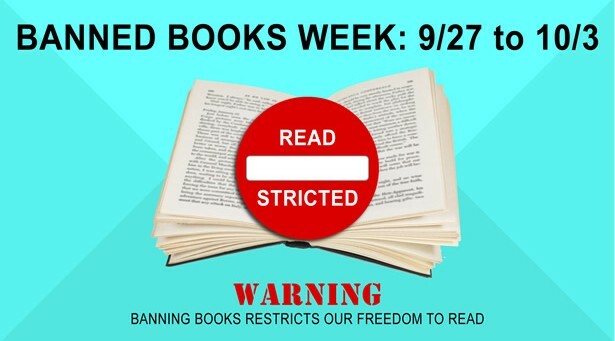 A mathematician and librarian, he is best remembered for his five laws of library science and the development of the first major faceted classification system, the colon classification (in which books are classified by facets rather than in a hierarchical taxonomy). He is considered to be the father of library science, documentation, and information science in India and is widely known throughout the rest of the world for his fundamental thinking in the fields. His birthday is observed every year as the National Library Day in India. Mary Kelly and Holly Hibner, two Michigan public librarians, have struggled for years to prune their collections. Seven years ago, we visited the blog on which they memorialize their choices. Now Kelly and Hibner have written a book, Making a Collection Count: A Holistic Approach to Library Collection Management, which proposes best practices for analyzing library data and adapting to space constraints. 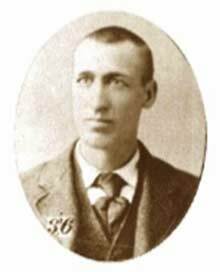 As we dither over deacquisition, we might recall that it was on this date that “the brave engineer” Casey Jones died in a train wreck in Vaughan, Mississippi, while trying to make up time on the Cannonball Express. He was killed when his passenger train collided with a stalled freight train on a foggy, rainy night. His dramatic attempt to stop his train and save lives made him a hero; he was immortalized in a popular ballad sung by his friend Wallace Saunders, an African-American engine wiper for his line, the Illinois Central, and later recorded, among others, Mississippi John Hurt, Pete Seeger, Furry Lewis, Johnny Cash, and played live by the The Grateful Dead (hear it on Spotify here). From Library planning, bookstacks and shelving, with contributions from the architects’ and librarians’ points of view, Snead & Co. Iron Works, c. 1915. Before the early 20th century, public libraries typically used wooden bookcases with fixed shelves to house their volumes. In the 1910s, new public literacy initiatives like Andrew Carnegie’s library-building projects, as well as institutional expansions at the Library of Congress and many universities, drove the need for a different kind of library shelf. The new wave of libraries—bigger and more comprehensive than their predecessors—needed bookshelves that could accommodate their rapidly growing collections of books. The New York Public Library, for example, installed 75 miles of new bookshelves in 1910 in preparation of its grand opening the next year. And the shelves from earlier decades simply weren’t going to cut it. So where were these new libraries going to get bookshelves that were up to the challenge? Snead & Company, of Louisville, Kentucky, was a cast-iron works business that manufactured everything from window frames to tea kettles to girders to spittoons. In the 1890s, the company took its expertise in metal work and turned its attention to the design of bookshelves, when it became apparent that metal shelves offered a unique solution to the turn-of-the century’s bookshelf crisis. From 1890–1950, Snead & Company designed, patented, manufactured, and installed an unprecedented measure of shelves, generating hundreds of miles of new shelf space. Snead shelves were multi-tiered, self-supporting bookstacks that, simply put, allowed more books to be packed onto more shelves. The bookshelves were architectural as well as aesthetic. 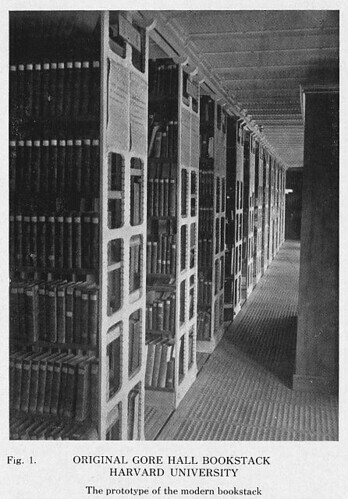 Snead bookstacks were characterized by narrow aisles with very closely spaced shelves. The stacks rested on marble, glass, or slate slabs that were robust enough to support the massive weight of the shelves and the books they housed. The bookshelves had a “z” notch that would allow each shelf to be moved up and down to best deal with the height of the books being stored there. Early Snead bookstacks were built out of exposed steel or cast-iron columns that served as structural reinforcements for the building. 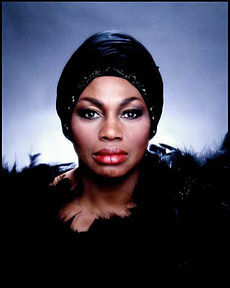 As we agree with Anthony Powell that “Books Do Furnish a Room,” we might send soaring birthday greetings to Mary Violet Leontyne Price; she was born on this date in 1927 (though yesterday’s date in given by some sources). As a child in Laurel, Mississippi, Price played the piano and sang in her church’s choir through high school, then headed to Wilberforce College (in Ohio), where she began training to b a music teacher. Her singing talent got her an audition at Julliard; Paul Robeson performed a benefit to her her with the tuition. She rose to international acclaim in the 1950s and 1960s, one of the first African Americans to become a leading artist at the Metropolitan Opera. Among her many honors are the Presidential Medal of Freedom (1964), the Spingarn Medal (1965), the Kennedy Center Honors (1980), the National Medal of Arts (1985), numerous honorary degrees, and 19 Grammy Awards (13 for operatic or song recitals, five for full operas, and a special Lifetime Achievement Award in 1989– more than any other classical singer). In October 2008, she was one of the recipients of the first Opera Honors given by the National Endowment for the Arts.